People have long understood that success in today's globalized economy requires cultural awareness and an ability to adapt to different cultures. Now research indicates that this kind of awareness and capability can be measured and evaluated. It's quantified as your cultural intelligence (CQ). Everyone has a cultural intelligence quotient (CQ™), a score derived from a validated instrument now used by academics, consultants, and managers around the world. 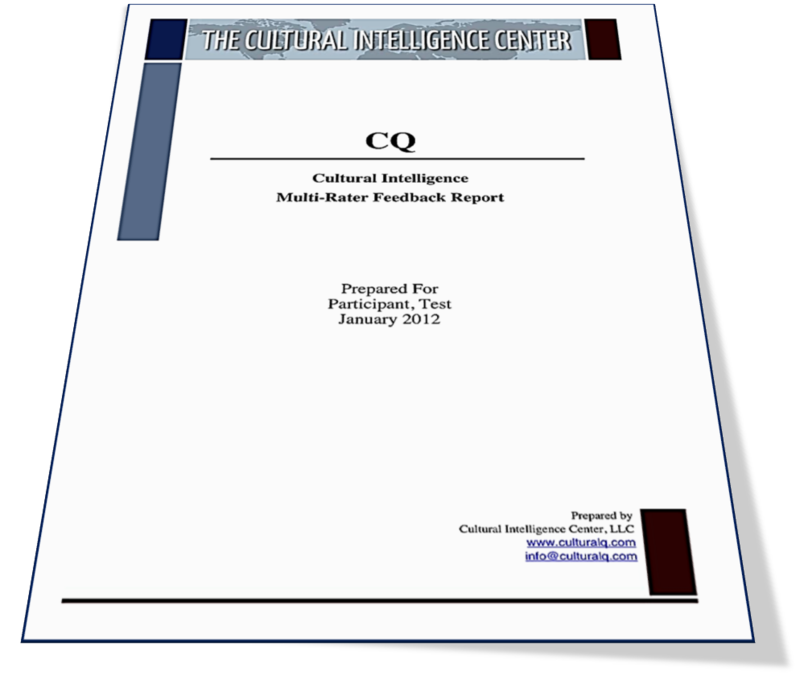 Your cultural intelligence is made up of four distinct capabilities, each of which can be assessed through a variety of CQ assessments. Each one assessed separately, together, these four capabilities make up your overall cultural intelligence quotient. It is NOT about being an expert in every culture in the world - it is impossible. To what extent do you understand some core cultural differences and their impact upon you and others? To which extent you are aware of your own cultural frame of interpretation to a cross-cultural situation? Do you spend time for reflecting and planning for an efficient interaction? Having a flexible repertoire of behaviors - verbal and non-verbal - to suit various situations while still remaining true to yourself. How do you adapt to a new culture and retain your authenticity? Intelligent Mindsets offers the only evidence-based and validated CQ assessments in the world.The assessments are developed by the Cultural Intelligence Center, East Lansing, MI, and can be commission ed by CQ Certified Facilitators. This assessment is a self‐inventory of CQ in the four capabilities. Participants complete the assessment online and receive a feedback report with their personal scores and suggestions for improving their CQ. Additional CQ assessments available for classroom use, study abroad, short-term missions, etc.